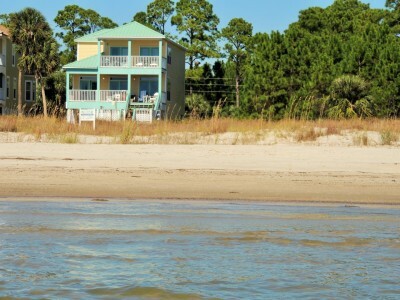 Port St. Joe/Cape San Blas have been in the news lately as a Special Destination Area. First in the ‘Best Florida Beach’ sponsored by USA TODAY 10Best Readers’ Choice , then in the GOPETFRIENDLY.COM Best City for Pet Travelers and finally in the “Finding the Perfect Southern Destination for Your Next Getaway”. In the USA TODAY Best Florida Beach Contest ……St. Joseph Peninsula State Park- Port St. Joe finished in Seventh Place out of Ten contenders. In the battle for the title of Best Florida Beach, the Gulf Coast reigned supreme as home to four of the top five winners. What USA TODAY CONTEST failed to mention was one of the most important features of St. Joe and Gulf County is the fact the County , years ago, made building codes and laws that prohibit any residential or commercial structure being constructed to be taller than three stories. This limitation of height constraints will prevent Cape San Blas from becoming a Panama City , with its huge gigantic condo buildings on the beach and traffic/congestion. In the middle of summer the beaches are still quiet and peaceful. They should remain so for years to come and keep that “Old Florida” feel to it. Especially with their strict building codes and restraints in place. The other special attribute to the “specialness” of the Cape is the County allows residents with permits to drive on the beach. This is one of the few beaches in Florida, or the Country for that matter where this is permitted. To have this 17 mile thin strip of land, that is a Peninsula, shoot out in the middle of the Gulf of Mexico with gorgeous St. Joe Bay on the other side is simple remarkable. The multitude, variety, diversity of wild life is one of natures true special gifts to Cape San Blas/Port St. Joe and should not be missed. These special features of Cape San Blas should alone placed them in the TOP three category for Best Florida Beach. IMO! In the gopetfrindly.com contest, called March Madness, for their Best Pet Friendly City in the U.S. competition, cities went head to head and were in brackets with eventually 64 cities. The winner moves on. Last year, in a extremely close competition, PSJ just barely lost in the championship by a handful of votes. The competition was fierce and four cities in Colorado made the final 8. In the final four matches it appeared PSJ would get knocked off by Knoxville, Tenn who had a powerful lead of 60% of the vote vs 40% for PSJ. It appeared as tough Knoxville would coast to victory. But with only hours to go a huge swell of voters came in. It was speculated that many of Vacation Rental Companies in the area made a big push to contact their present and past renters to lobby and promote voting for PSJ. Social Media was also a driver of interest and voting. It appeared that PSJ was not going to lose the championship by a few votes, like last year. By the time the final whistle was blown. PSJ completely turned the 60% to 40% deficit around and won 60% to 40%!!!! With the large pool of attentive voters on hand the finals were a walk in the park vs Telluride ,Co. PSJ took a 60% to 40% lead early and never looked back once they smelled blood in the water. And for all the VERY VERY passionate folks and 1000’s of families that visit Cape San Blas yearly, they have earned the title of Best City for Pet Travelers- PORT ST. JOE , Fl,!!!!!! Congratulations!!!!!!!!! Get out on the Water…nearly all of the activities here take place on the water. Book a charter trip with Captain Charlene Burke and About Fun Charters, and have her take you out to her favorite fishing spots on the Intracoastal Waterway. Whether it’s sightseeing, shelling or fishing, or a combination, the father and son duo of Break-A-Way Charters will help you plan your perfect day on the water. Discover why Gulf County is known as the “champion of sunsets” aboard a sunset cruise with Seahorse Water Safari Boat Tours. Learn about the ecosystem of St. Joseph Bay as you go on a guided kayak tour with Happy Ours. Worth the drive…kayak the impressive-looking Dead Lakes in Wewa with Off the Map Expeditions. Need to eat… enjoy oysters (and more) at Indian Pass Raw Bar. Indulge in one of the seafood platters at Triple Tails Restaurant. Wake up your taste buds with the Cajun shrimp salad at Sunset Coastal Grill. Pick up barbecue sandwich and/or baby back ribs at Sand Bucket Smokehouse . Order one of the po’ boys or the fish tacos at Dockside. Close to (the) water…rent a bike and explore along the trails. Go horseback riding on the beach with Broke-a-Toe. Cape San Blas is one of three places in the state that you can do this. Go hiking on one of the three trails in St. Joseph Peninsula State Park. You never know what you might see. Accommodations include everything from rentals to inns. “ Pretty cool stuff. There is so much to do in PSJ/ Cape San Blas. I have been coming here since 1998 and still have 25-50 things to do and explore that I haven’t had a chance to do yet, My Bucket list! Pretty exciting stuff. PSJ and Cape San Blas are getting more and more attention as a significant DESTINATION stop/stay. The BEACHES, THE BEST PET FRIENDLY CITY and BEST FOR OUTDOOR LOVERS!!!!!!!! Have I mentioned real estate and prices? They are coming back strong and fast. This is simply one of the most beautiful, uncrowded, sensory overloaded, paradises to relax in anywhere in the Country. Better get your piece of this oasis soon, before it is all one. If you come down, please consider staying at Burns Management Beach Vacation Rentals- Two Palms Villa or Three Palms Compound. 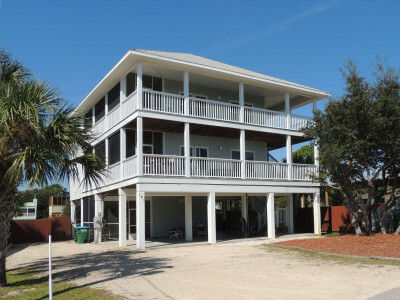 Here you will be exposed to one of the best “Value Added” Cape San Blas Vacation experiences you will ever have. Check out our REVIEWS, I dare you. We will take care of you and you will want to come back year after year , like most of our guests. My family and I visit the area at least twice a year! We love the real taste of old Florida, an outdoor person’s dreams with endless Kayaking opportunities, fishing, swimming and our favorite…snorkeling for scallops. In a world that often seems to have become homogeneous, it is a real treat to visit this pristine, untouched slice of paradise. There are very few places left that I would call Paradise, this is one of them. 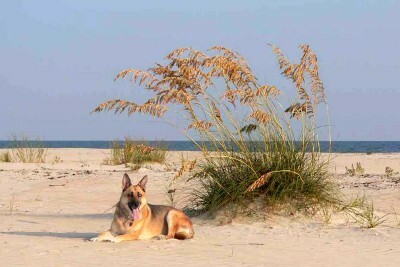 We especially love the fact that we can visit with our four legged children, a rarity on most beaches! A special thanks to the folks from both Two Palms and three Palms. We have stayed there often and feel they are our home away from home! The area keeps calling me back. For more than a quarter of a century, I have explored those amazing, pet friendly beaches, enjoyed the fishing and scalloping, and oh, the oysters. I am so happy to have discovered your amazing rental houses. We have stayed in both Two and Three Palms and love them both for their own personalities. My wife and I will be back soon! The April 19 story painted a big smile on my face. It looks like more and more people are discovering the same wonderful things about this amazing part of Florida’s so-called Forgotten Coast that I did a decade ago. I came as a visitor in 2004 and I haven’t left yet! Saint Joseph Bay is a fisherman’s dream, there’s a large variety of beaches – each with its own personality and most importantly, peace, tranquility and Mother Nature’s beauty are never far away. However, if you are thinking about visiting Cape San Blas / Port Saint Joe / Indian Pass be very careful – you and your dog(s) may never wish to leave. Congratulations to Port St. Joe on all the great press! Thank you for your “‘classy” comments. I appreciate te time and effort. Great Contest!!! !